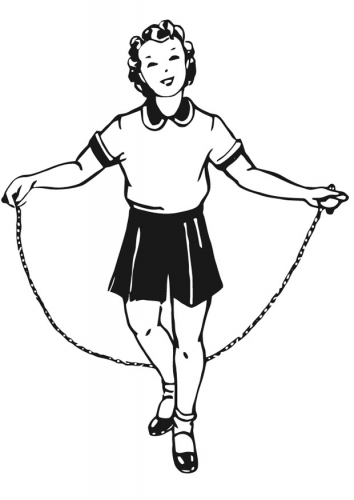 Skipping rope is the British equivalent to jump rope. Yes, I laughed when I heard it. Jump rope just seems practical, no nonsense. It’s the kind of manly exercise that Arnold Schwartzenegger does in a gym, quickly shedding pounds. Skipping rope just sounds downright whimsical. The kind of pastime that cannot be done without bobby socks, pigtails, a kitten and maybe a bike with a bell and a basket in the background.